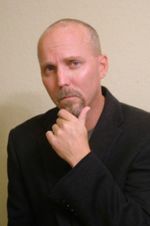 In this episode of the Guerrilla Project Management Podcast, I interview Mark Gibson, author of markdgibson.com. I read Mark’s blog post Resuscitation for a Red Project Team about recovering troubled project and I had to talk to him further about his approach to these types of projects. Mark is an Enterprise Program Manager. He is a Certified PgMP and PMP with experience across many technical and business spaces. The mindset that Project Managers must develop to be able to recover projects. The mistakes that Project Managers make when recovering projects. Assessing the mental state of the project team. 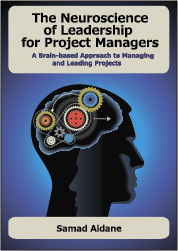 What should PMs know about the mental state of the project team in troubled projects. How important is it for the Project Manager to try to bring renewed energy and confidence to the project team and how can they do that. How to help the team refocus on the future and put the past behind them. The team may continue to view the Project Manager with suspicion. How the Project Manager can earn the team’s trust. Examples on what tends to go wrong with strategy, methodology, and processes on troubled projects. Challenges to developing plan for recovering. Effect of getting quick wins at the early stages. Importance of re-evaluating the current project plan to create small well defined solution components. Tips for evaluating and identifying where all the project issues reside. What final recommendation for Project Managers that are assigned to recover a troubled project. Make sure to visit Mark’s blog where he writes about methods, techniques, and tools to overcome the daily challenges that Enterprise Program and Project Managers face. You can also follow Mark on twitter at @mdgibson.